———————I have forgotten so many lines this winter. The tutor’s pince-nez emerges incongruously from the speaker’s shifting memory, whole but contextless, like the mammoths found in thawing icebergs. Elsewhere, scenes from the domestic mundane connect unexpectedly – in one room there are ‘lights turning off / the darkness’, a making-strange that echoes Fanny Howe’s reshuffled ‘milk that fills the sugar / up with tea’ (in Emergence, published by Reality Street alongside Seoul Bus Poems earlier this year and reviewed in The Literateur 24 August 2010). ———————The urge to speak about.—rain. This works so well because the sentence and the moment expand together – at the same time as the awareness of ‘waiting for what passes for classical music these days’, the waiting poet and reader are aware of four separate, simultaneous things within it – the waiting, ‘what passes’ (the scenery outside the bus, the city outside the window, the time itself), the thought of the music, and ‘these days’ in which he finds himself living and waiting – this life in this foreign city. ‘My phone should ring anytime you call’ is a technological tautology, not worth mentioning, but the line breaks and syntactical divisions widen the gap between the dialled number and the ringing phone into an expanse of waiting for the call, in which at any time the phone could, should ring – should as in ‘ought to’, should as in ‘probably will’ – but doesn’t quite, and the final ‘you call’ hovers between announcing and pining for the long-awaited event. 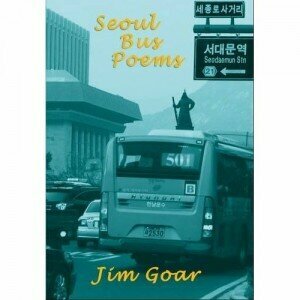 Goar’s brilliant portrait of life in a foreign city is made of such moments that melt and evaporate into others. It is an atmosphere we breathe, condensation on the windowpanes that we look through, rain we hear on the pavements outside. It is a perfect evocation of the misty ways in which we live and remember living – how amongst hangovers, under duvets, afflicted by warm orange juice and from an infinity of almost-identical bus seats, ‘mostly we drift’.